The following are documents we have received that need to be translated before we can put them onto their main page. If you have the appropriate language skills, it would be great to have your help. You may of course choose whether we put your name to your translation. We’re very happy to give attribution where it’s wanted – and to not do so when it isn’t! Please send your translations via the usual Contact page – and many thanks. For translation for a Kitchener family, please, if anyone has the language skills and the time. It would be incredibly helpful to have this article (above) translated, please. It is the earliest article we have found in the ‘Jewish Gazette’ (the only German Jewish newspaper still allowed to be published by 1939) on Richborough/Kitchener camp. With SO many thanks to one of our wonderful descendants, who has very kindly provided the following translation of the article above. I will be writing up some further information about the article soon. 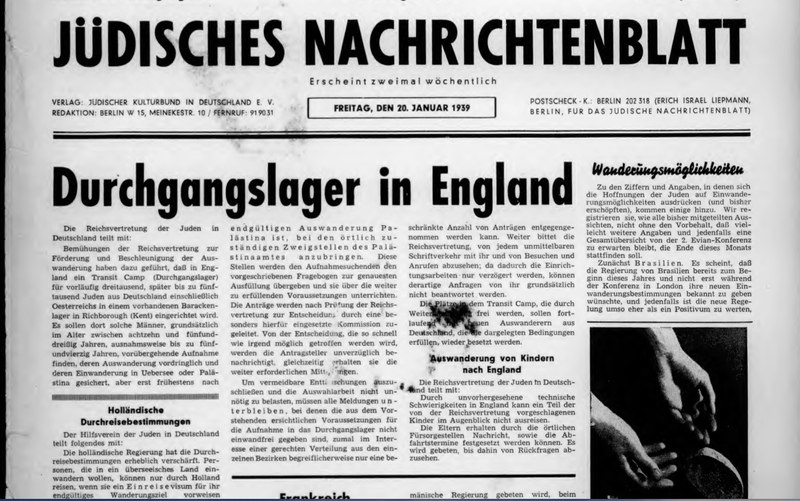 Efforts of the Reichsvertretung for the promotion and acceleration of emigration have led to a transit camp being built in England for Jews from Germany, including Austria, provisionally for three thousand, finally reaching five thousand, on the site of a former barracks in Richborough (Kent). In principle, it should temporarily take in men aged between eighteen and thirty-five, and exceptionally aged up to forty-five, whose emigration is urgent and whose immigration overseas, or to Palestine, but firstly whose final destination is to Palestine, is assured by the locally responsible branches of the Palestine Office. These offices will hand over the required questionnaire to the applicants for the most accurate completion and instruct them about the further requirements. The applicants will be forwarded to the Reichsvertretung for a decision by a specially appointed commission. The applicants will be notified immediately of the decision, which will be taken as soon as possible, while at the same time receiving the necessary further information. To avoid avoidable disappointments and not burden the work of selection unnecessarily, all applications must be omitted for which the prerequisites for admission to the transit camp, as evidenced above, are not met, especially since, in the interest of equitable distribution from the individual districts, it is understandable that only a limited number of applications can be accepted. 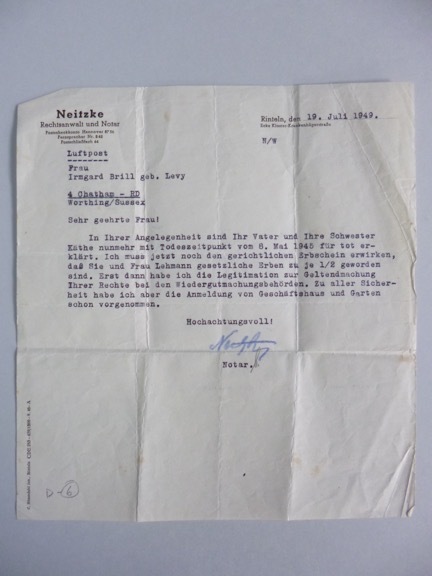 Furthermore, the Reichsvertretung asks to refrain from any direct correspondence and from visits and calls; as the setting up work will be delayed through this, in principle such requests cannot be answered by them. 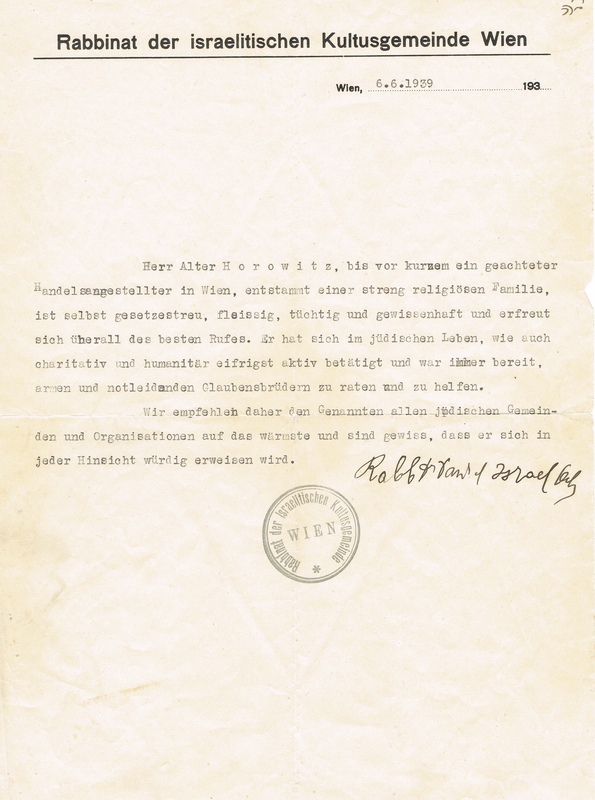 The places in the transit camp, which become free through onward travel, shall be taken up again and again for emigration from Germany by those who meet the conditions set out.